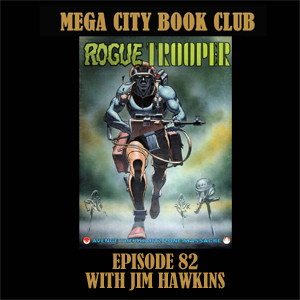 It's game night in the book club and my guest Jim Hawkins has brought the Rogue Trooper board game. He also fills me in on all the recent, exciting news in the world of 2000AD tabletop gaming with releases from both Warlord Games and EN Publishing. And check out Westernoir by Gary Crutchley and Dave West.